I recently switched to GnuCash for invoicing. While it’s quite powerful, it does have a bit of a learning curve. 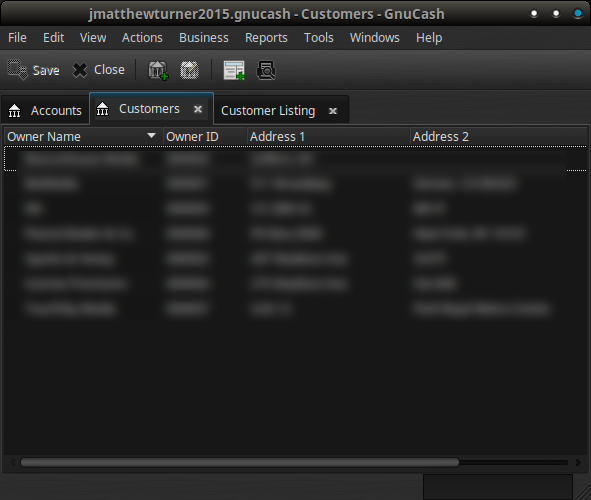 And while I’ve mostly been able to figure out what I need to know with the googles, one feature has eluded me: how to get GnuCash to show me a list of outstanding invoices. It seems like a pretty obvious feature, but my searches for it always ended on a message board with someone telling me that it simply can’t be done. And while that may technically be true, I stumbled on a trick last night that is definitely close enough for funk. Start on your Accounts tab. Click Business->Customers->Customer Overview. This will open the Customers tab. Now, with the Customers tab selected, click Reports->Customer Listing. 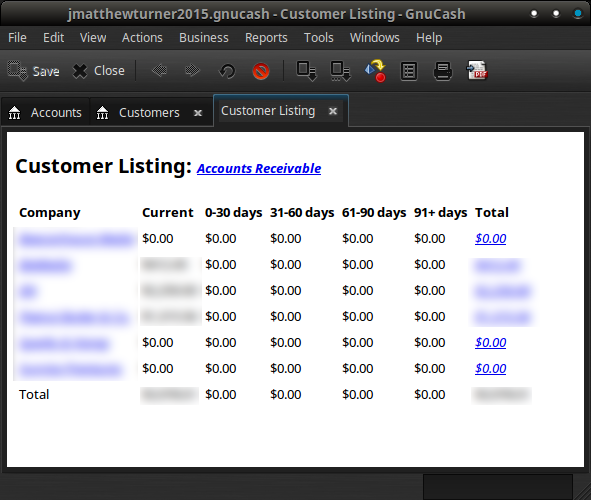 This will open the Customer Listing tab, which shows you all of your clients and what they owe. It’s easy enough to ignore the clients with $0.00 next to their names, and that leaves you with a list of clients who have at least one outstanding invoice. Mind you, it still doesn’t show a breakdown of specific invoices – but you can click on the hyperlinked outstanding amount to see a breakdown of invoices for each client. You stumbled on the same thing I did. It might help to: 1. 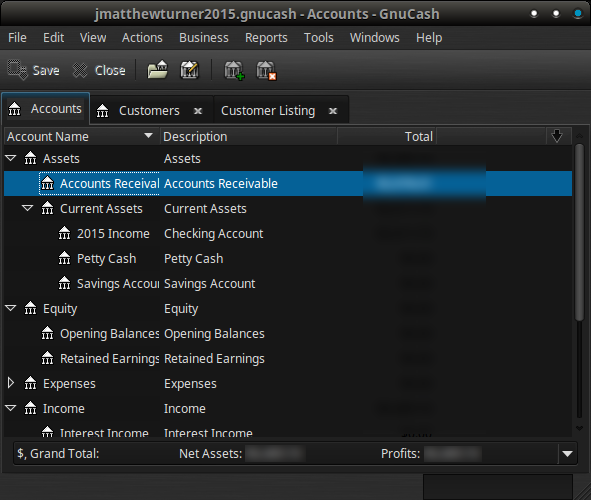 On the options dialog there is a checkbox to ignore zero balances. 2. "Save -> save report config as" will let you give it a name and recall it as needed. So, picking up from where we left off above with the Customer Listing tab active, there is a button in the toolbar called Edit report options. Click this, deselect “Show zero balance items” toward the bottom of the dialogue, and give it a “Report name” up top. Click Ok, then go to File->Save Report As… and give your new report a name. Now, you can simply click Reports->Preconfigured reports and choose your customized report. 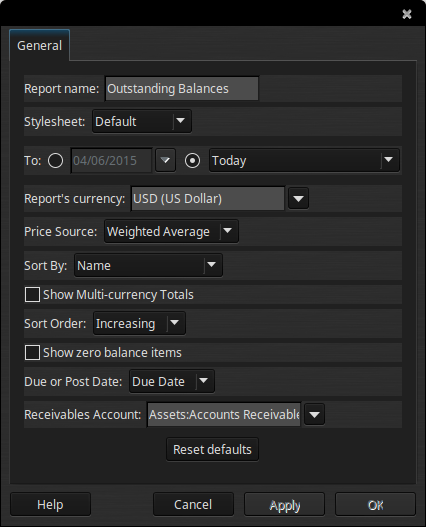 Even better, it will only show clients with outstanding balances. So much simpler! Thanks, Rich T., for the suggestion!